Members of the Storm Troopers (SA), with boycott signs, block the entrance to a Jewish-owned shop. 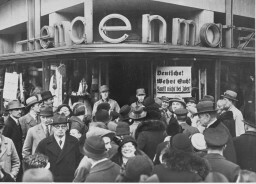 One of the signs exhorts: "Germans! Defend yourselves! Don't buy from Jews!" 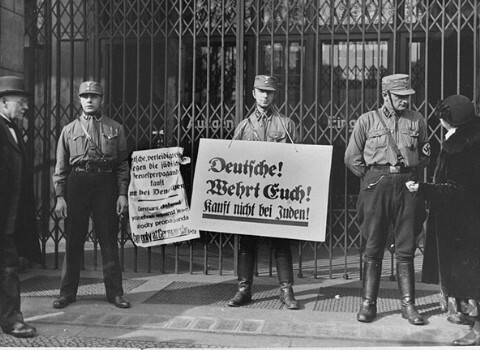 Berlin, Germany, April 1, 1933.